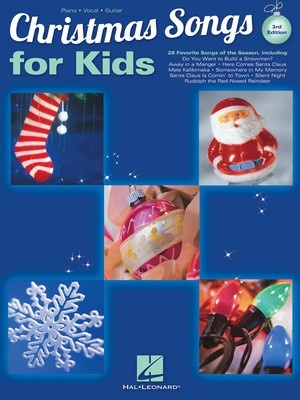 The 3rd edition of this popular piano/vocal/guitar Christmas collection for kids features 28 favorite songs of the season, including: Away in a Manger • Do You Want to Build a Snowman? • Here Comes Santa Claus (Right down Santa Claus Lane) • Mele Kalikimaka • Rudolph the Red-Nosed Reindeer • Santa Claus Is Comin' to Town • Silent Night • Somewhere in My Memory • and many more. 18 Do You Want To Build A Snowman?